It was a rainy day; quiet and cloudy. Yalda used to like rainy days. Yalda was seventeen and she was to be married to a man named Abdul, who was twenty-five. He was killed on a rainy day and now she no longer likes rainy days. Yalda had not wanted to be engaged to Abdul. She wanted to continue her education. But Abdul was a rich man and he could take everything he wanted by power or threats. First, Abdul’s family went to Yalda’s family to ask for Yalda on behalf of their son. Yalda’s family said, “No.” Their daughter was too young and not ready for marriage. Abdul warned Yalda, “If you don’t want to become my fiancée then I will kill your parents.” Yalda was afraid. She has a younger sister and brother. She thought, how would I forgive myself if Abdul killed my family? Without telling her parents about the warnings, Yalda decided she would marry him. She told her parents that it was her life and she wanted to be married to a rich man like Abdul. But within a few months, Abdul was dead. His brothers killed him because of a land dispute. By then Yalda had learned to like Abdul. He loved Yalda and made her happy, and she’d forgotten all about the threats. The day she found out Abdul was dead, it was raining so hard that Yalda thought the sky was crying with her. 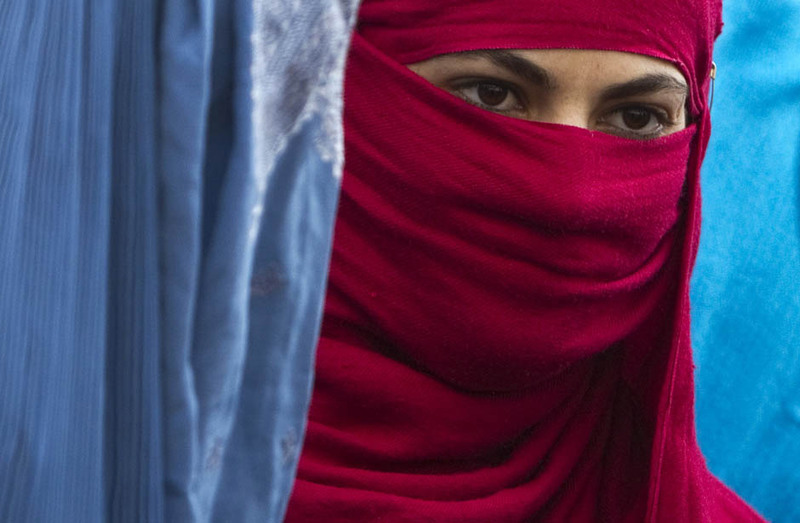 In Afghan culture, if the husband dies, often his wife has to marry one of his brothers. Yalda did not want to marry one of Abdul’s killers. But the brothers came to her and said that she must marry one of them now. Yalda said no, she would not marry the man who killed her fiancée. They told Yalda if she did not agree, her father would have to pay them. Yalda’s father was not a rich man, but he agreed to pay. He had a small house that he sold. He paid Abdul’s brothers $20,000 for his daughter. Now Yalda lives a poor life with her family. She cannot afford to continue her education. She wanted to open her case in court for her inheritance, but she says the corruption in the system prevents it. Who knows what is in her kind heart? Because of her family she has a smile on her face, but no one sees that Yalda is crying inside. Leeda jan, thank you for sharing Yalda’s story. It speaks a universal truth of the lives so many women face in the world. Thank you for telling us this story. It give us much to think about. How many women around the world, in a variety of circumstances have a smile on their faces, but are crying inside. The world needs to know about those silent tears. I agree. Many people, but especially women, carry sadness inside. But as I ready about Yalda, I was afraid she would stay with one of the brothers. At least she has the support of her family and a father willing to help her. I hope her life becomes better. However heartbreaking Yalda’s story is, the glimmer of hope is heartwarming. Even in dire circumstances, the full support of her family is touching. They chose poverty over a hard life for their daughter. That is love. Thank you for sharing this, it is beautiful. Thank you for sharing this story. While it is sad to think that the system is so corrupt that she cannot dispute her inheritance, it is comforting that her family is still willing to take care of her. I hope that one day her life will become more just. I feel that the most depressing thing about the story is that it has most likely happened more than once. The idea of someone being forced to marry those that they love seems like a nightmare to me. Not only does your story encompass this horrible situation, it gets even worse. Just as the main character begins to settle with her life and find herself loving the man who forced her to marry him, he’s killed by his own brothers. I feel that this is the point of no return for the poor girl as the killer demands that she marries him instead. She had finally seen the silver lining in the cloud to only have it completely shattered by these men. I wonder if this was based off the fate of one of your friends, or even worse, yourself. I truly hope that I am wrong in my assumption, but if I am, I hope that writing this story out has helped you gain inner-strength to deal with the problems in your life. Its a shame when people behave so selfishly, especially family members. Where I am from, it is unheard of for the brothers to demand money for exchange for Yalda. It is shocking to hear brothers killing each other, and then going after their wives. It is even more shocking to hear that Yalda was forced into her marriage, as well as forced out.